Munyanya holds a Bachelor of Architecture Degree from the University of Nairobi; is a member of Architectural Association of Kenya – Architects and Construction Project Management Chapters respectively; a registered architect with the Board of Registration of Architects and Quantity Surveyors; and a member of the Project Management Institute. 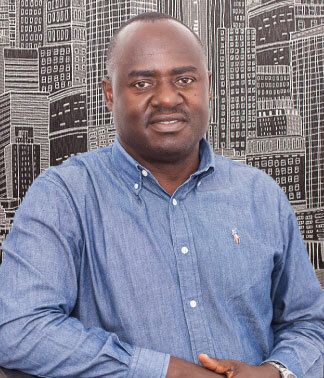 He has served in various positions including President of the East Africa Institute of Architects, Vice-Chair and Chair of the Architectural Association of Kenya, Treasurer of the Africa Union of Architects and East Africa Institute of Architects. He continues to serve as a Vice-Chair of the Kenya Arab Friendship Society; Vice-President of the Federation of Arab African and Arab Consultants; Council Member of the International Union of Architects; member of the Hotels and Restaurants Classification Committer of Kenya; and he represents Kenya in the East Africa Classification Committee of hotels, restaurants and tourism facilities. Before joining AIA, Munyanya gathered enviable experience working at several firms including Adventis Limited, Symbion International, Plence International and Conte Designs. He has also been assistant lecturer at the Kenya Polytechnic now Technical University of Kenya – department of building and civil engineering. He oversees architectural design and project management assignments at AIA and has an impressive design, project management and interior design track record in several sectors including Private Residences and Residential Buildings, Shopping and Office Complexes, Hotels and Lodges, Service Stations, Medical Facilities and Educational Institutions.